Which One Was The Confetti Button Again? Looks like the Hawaiian emergency alert operator found a new job at Blizzard. 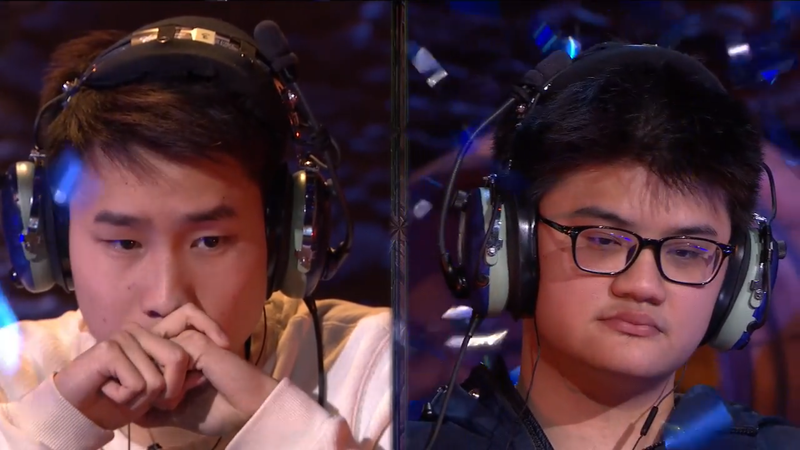 During a tense grand finals between Frank “Fr0zen” Zhang and Chen “tom60229" Wi Lin at the Hearthstone World Championships today, someone seemed to bump the winner’s confetti button. Chen would go on to win in a reverse sweep against Zhang’s Jade Druid deck. We do not know if the premature confetti had any affect on the outcome.